How does the prowritershub.com work? Placing a custom paper with prowritershub.com is an easy way to astonishing academic prosperity. All you are required to do is give us your professors’ instructions and we will write you a Top quality paper. Just fill in your details in our ORDER NOW (accessible from any page), pay for your order and we will complete your assignment within the deadline you prefer. You can also upload extra instructions in forms of pdf, pictures or word documents. Our staff places the most qualified writer in the field depending on your payment plan. If you prefer VIP support of your order to be handled by our Top 10 writers that is exactly what your will get. However, we will still assign you to the most qualified writer available to handle your task. If you need your writer to access certain material from your school website or be in possession of a particular piece of software kindly do not forget to point it out in your instructions. We only work with what you provide us; and in case of change or addition of extra instructions, you are charged a bit more for what you failed to mention initially because it usually means extra work for a writer. Your paper is delivered to your Client Page once complete. Once a writer is done with your paper, it goes straight to our editing team who go through it to ensure that it, meets our quality standards. Once the editing team approves it, it is delivered to your client page for your preview. Once you click on ‘approve’, the paper automatically becomes available to you in Microsoft word form. If you feel some instructions were left out in the paper, you can always request for a revision via the ‘Revision tab’ available on your client page with your comments addressed to the writer with a new deadline (not less than 1hr). Kindly CLICK HERE to place an order now! Yes! Our services are totally confidential. Unlike other online writing services that pass on customers’ details to their writers, we have a very strict policy about protecting the privacy of our clients, and only our administrators have access to customer information. Even an editor cannot access any customer’s information. However, when a client demands to guide a writer step by step while working on an assignment, we provide a secure platform where they can both communicate via chat towards the delivery of a top quality paper. All of our customers get a unique experience for they are treated professionally at every stage. Our clients’ information details are protected at all cost and only the administrator can access this information for the sake of future communication. Although you will be asked to submit sign up details while placing an order with us for the very first time, kindly note that these details are only for communication purposes and our services are completely confidential. Prowritershub.Com is a New York based company that offer academic assistance to students high school, college and university students. Prowritershub.com has been in this field since 2005 provide academic assistance to students in Canada, Australia, U.S.A and the United Kingdom, although we accept order from any other country that uses English as the official or academic language. We have customer support facilities in Los Angeles, London, Sydney, Brisbane, Toronto, London and Manchester. Prowritershub.Com cooperates with PayPal, which is the most secure online payment method today ensuring that all transactions between us and our clients are fast, convenient and totally safe from any hackers or any other third parties. Therefore, be assured that while you are paying for our services, we will receive every penny that send and we will write you a top quality paper on time for there will be no delays or inconveniences in payment. We have been cooperating with PayPal since 2005 and we have helped more than 10, 000 students get their research papers all paid through www.paypal.com We only start working on your paper after we have received a payment confirmation from PayPal, to ensure that our services are not taken for granted. However, we always honor our end of the bargain and refund all of your money as stipulated by our MONEY BACK GUARANTEE in case you are not pleased with our services. We understand that most of our clients are students who may be struggling with student loans and other types of debts: hence’ all of our services are offered at highly reasonable rates. Our cheapest services go for around $9 per page because any highly qualified/decent writer demands at least $7 per page. Do not fall into a trap of scam services charging very cheap rates only to mess your paper up. Beware of some cheap online writing services that charge too little for a quality paper only to end up selling the same paper online to a different client, or service to cover the difference. This means that while you might turn in original and plagiarism free paper, by the time your professor will be marking it, it may have had already been sold to another client who put it online. Although the paper was initially 100% plagiarism-free when you got it, once another person who purchased the same paper from a cheap service runs it through turnitin.com before your professor marks it, it will reflect more than 95% similarity. In such a case your professor will assume that you copy pasted someone else paper failing you in a whole test, course of the whole year. Therefore BEWARE OF TOO CHEAP ONLINE WRITING SERVICES ONLINE. A good quality writer charges about $7/page; hence, the service can only charge you about $9 or $10/page to capitalize on difference. Any service charging less than $9/page will mess you up sooner or later. We do not resell any of our papers and every project is uniquely designed to fit the needs of a specific client. Yes there is; kindly click HERE to view our money back guarantee policy. 24/7 availability in case a prior client requests his specific skill set. Yes you can, especially if you are a returning client. You can request for a writer who has previously completed your paper. Click on ‘I want a specific writer’ button when placing an order and a list of all of our writers will appear. If you fail to click this button there is no guarantee that your order will be completed by your previous writer. Yes you can. You can send messages to your writer via your Client Page which is automatically available to you the moment you place your first order and fill in ‘sign up details’. You will also be getting any responses from our writer or the admin straight to your email although it is your responsibility to keep checking whether you have any new messages by simply login into your Client Page. However, you should understand that our system allows the admin to monitor all conversations between a writer and a client to ensure that there is no exchange of personal information or violation of our TERMS AND CONDITIONS OF USE OF OUR SERVICES. All of our projects are custom-compiled from scratch eliminating any chances of plagiarism in a completed paper. 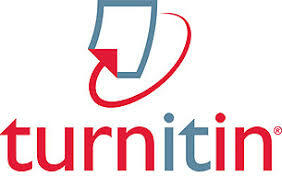 We also use plagiarism checking software such as www.grammarly.com and www.turnitin.com to scan any paper before delivering it to the client. However, we also encourage our clients to check their papers every time we deliver them to confirm that indeed a paper is plagiarism-free. Although all or our papers are original, we cannot guarantee that there will be no paraphrased content in the document you receive. We do not keep such a database and all papers are custom-compiled from scratch. All of our papers are formatted in the accepted academic settings. That is; 1-inch margins, double-spaced, 275 words/pg formatted with Arial font/Times New Roman. However, a client can specify the type of formatting he/she needs in the “paper instructions” box during placing an order. You get a variety of options on time of delivery on your paper once you place an order with us. You can choose to have your paper completed within a few hours to a couple of days (mostly from 3hrs to 30 days). For instance, if you choose 4 days delivery and place your order at 6 A.M Monday, you will get your paper at 6 A.M Friday. Make sure you upload all necessary material at the initial placing of an order. Otherwise, if our writes start an order, or complete it and then you add additional information, we expect you to compensate for the additional details with a new deadline and attract some additional charge. If you are working on a dissertation or an academic project that demands completion of specific parts in series, you are expected to notify us from the very beginning and give your instructions on how you expect your paper to be completed. What is Progressive Delivery service and how does it work? Receive your project (dissertation/thesis/capstone project) chapter by chapter if that is what you desire. Schedule your work in advance. You place your order as usual after we agree on a progressive delivery as well as a payment plan. We assign you the most qualified writer available to work on your paper. We send you a full dissertation, thesis, capstone project, etc that would most probably be requiring just a few or no revisions. How do I fill in the order/inquiry form? Placing an order on the order form is a very easy and self explanatory process. You just click on the necessary field indicating all your paper details and you are ready to go. Be sure to include additional ‘order details’ in the provided box to enable us to write exactly what you want in your paper. In case you need any help while filling out our order form kindly contact our customer support team who are always on stand-by and ready to chat with you at any time of day or night. Do not forget to indicate the course tile, topic of you paper, writing style or any other important details. We would not want to assume on anything and then start working on your paper. We always encourage our clients to commend or critic our writers via the “message” box available on every order on client page. You comments are vital to our writers and the administration more so for ranking and promotion purposes. After you sign up with us, you are provided with a Client Page that comes with two buttons; ‘files’ and ‘messages’ button. You can use the ‘files button to upload any material/attachments that need to be reviewed before a writer starts n your paper. The ‘messages’ button allows you to send real time messages to the admin and also to the writer assigned your paper. As soon as your material is shown as ‘uploaded successfully’ it is available to the writer and no further action is needed. However, you can always contact the admin or the writer via the ‘messages’ button to confirm that indeed they have received the material you need reviewed. In case you experience any difficulties attaching your files kindly contact our operators to give you an alternative on how they can get to our writers. Your order tab “ORDERS” that helps you track the status of your previous orders with prowritershub.com. It also displays your pending/in progress, in revision, in editing, completed, rejected and also disputed orders with us. ‘Place Order’ tab that takes you directly to our “ORDER NOW” tab in case you need to order new project. ‘Profile & Messages’ section containing your personal information where you can change your password at any time. The messages section shows you messages sent to you from either a writer or the admin. You can also draft new messages and reply to the old ones from this section. You will be asked to create your own password when placing your first order with us. In case you lose or forget this password, all you have to do is click on the ‘forgot password’ link and it will direct you on how to access your account. It’s that simple. As soon as our editing team is done with your paper, you will receive a notification on your email with a link directing you to your ‘CLIENT PAGE’. However, we also encourage our clients to keep checking their ‘CLIENT PAGE’ as the deadline approaches in order to avoid any misunderstandings especially with new clients. The order will be appearing on your ‘completed’ section and it is upon you to click on ‘approve’ button to confirm that the order meets all of your specifications. However, our system will assume that you forgot to approve a delivered order, and auto-approve all completed orders after 72hrs. If you have not received your order by the agreed deadline (which is very rare) contact us immediately. Chat us online immediate or write us a message via your “CLIENT ORDER PAGE” and we will get back to you soonest possible so that our operators can assist you right away. This can happen due to a couple of reasons: It may happen that you entered the wrong email address, our email notifying you of the completion of your order may have been filtered to the ‘spam’ folder, or that our writer wrote to you and was waiting on your response before delivering the order, or that we are scanning it for plagiarism. Contact immediately f you have this sort of problem especially vie live-chat and we will sort you out immediately. In case our final draft does not please you and it needs some changes, we welcome you to request for a revision via the ‘Revision’ tab on your ‘CLIENT ORDER PAGE’ by sending your comments directly to the writer and stating the number of additional time he/she has to do the revision. If you request for alterations in your order that were not included in your initial instructions we will charge you a re-write fee that will be determined by the complexity of your new task.